Can an ENT doctor help me? Most people ask this question regularly, because a good portion of the population is not quite sure what an ENT doctor is or what one can do. That is perfectly fine! 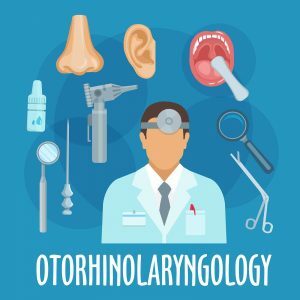 ENT stands for ear, nose and throat, and ENT doctors are also referred to as otolaryngologists. While this might seem like a scary word, it makes perfect sense if you break down the Latin. We will take the time to explore the more common reasons patients go see an ENT specialist, and we will also look into more obscure territories. The Ear: You would see an ENT doctor if you have hearing loss, hearing impairments (such as tinnitus), ear infections, and also hearing issues since birth. ENT doctors also remove excess earwax build-up, which is a dirty job but someone has got to do it. The Nose: The most common nose-related issues that ENT doctors are seen for are sinus related. Most people do not realize that ENT doctors are the sinus experts of the medical field, and they are most likely not getting the expert help they need from general practitioners. ENT doctors also perform cutting-edge procedures to cure sinus conditions; from sinus surgery to balloon sinuplasty, an ENT doctor can improve the lives of sinus sufferers. ENT practices also are known for treating allergy issues. The ENT Institute for instance has in-office allergy testing, and also has many options for allergy treatments that can be picked up right at the office. The Throat: Disorders that affect speech, singing, eating, swallowing, and digestion can also be investigated by an ENT doctor. While it might not be common knowledge, many famous singers have an ENT doctor on speed-dial to help them with their vocal issues when they arise. A more common reason for visiting an ENT doctor is when you are suffering from acid reflux or GERD. Some conditions of the head and neck: ENT doctors can also take care of diseases, tumors, and trauma of the head, neck, and face. Some ENT doctors are even trained to perform cosmetic and reconstructive surgery in these areas. We hope this helps clear up what an ENT doctor actually does, and also shows that ENT doctors do not get the credit they deserve. Hopefully, next time you have to make a medical decision, you will know when seeing an ENT doctor is the right call.